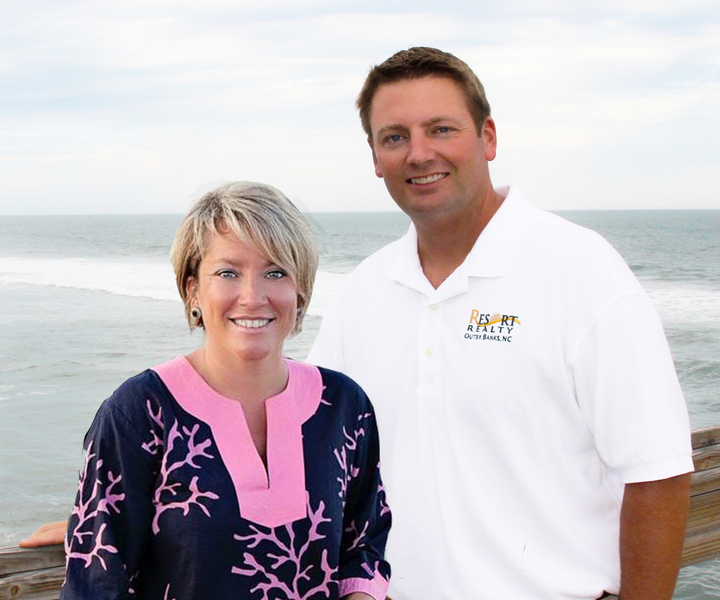 Semi-Oceanfront With 5 Bedrooms Priced Under $500,000! This Duck Coastal Cottage is in the preferred ocean to sound community of Port Trinitie and offers outstanding amenities. Both Sound and Oceanside swimming pools and tennis courts, sound and beach access and bike path to Downtown Duck. Perfect location for a family vacation home or income rental property or maybe both! Plus house is on a Quiet Cul-De-Sac with very little traffic. 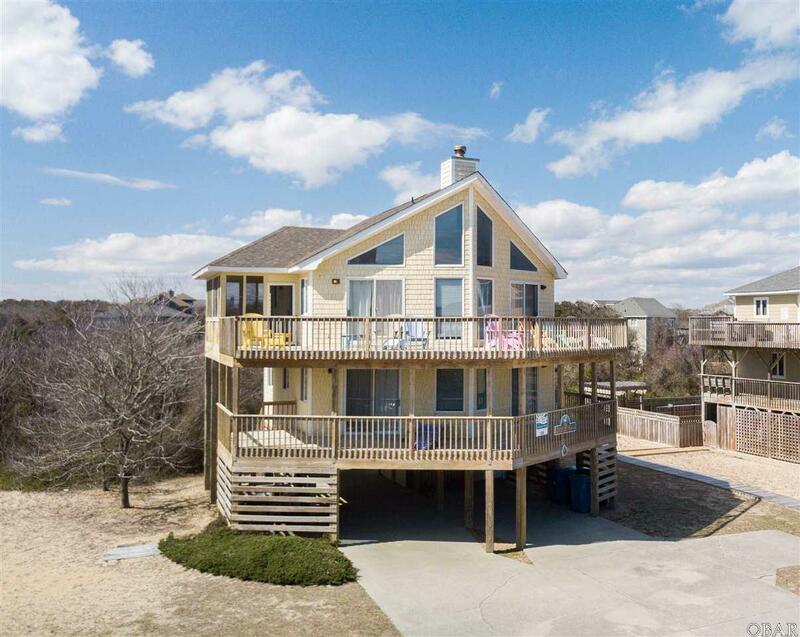 5 Bedrooms, 3 full baths, Top Floor Large Living Area with recent updates, ocean views, loft, wood burning stove, floor to ceiling windows, screened porch & a bedroom with bath. 4 really good sized bedrooms on the mid-level. Ground level offers hot tub, outdoor shower, double carport for dry entry & a sizable indoor laundry room with storage. There are spacious decks, screened porch, large yard, soundside pier, pool and sandy beach. Updates Include: 2018: New door locks & hardware. Freshly painted exterior door, ground level, refinished dining table. Redo bathrooms, interior painting, some NEW WINDOWS in great room. Kitchen painted, porch repaired, new outdoor shower roof, and much more. 2017- Over $10,000 in HVAC replacements. New air handler & compressor downstairs unit. 2016-New air handler & compressor upstairs unit. New Hot Tub cover; Pressure wash exterior; new roof pipe collars and North side of house painted. 2015- Kitchen remodel with granite counters, all new appliances, cabinets, double stainless steel sink plus all new plumbing. New flooring in Great Room/Dining area, 3rd floor bath where the vanity was replaced. Steady rental income through property management company. Some owner usage in addition to private rental to family & friends. Sold Furnished. Virtual Tour is INTERACTIVE. Have Fun! !